Tori graduated from Muhlenberg College in 1990 with a B.S. in a self-designed major of Biology and Psychology. After graduation Tori chose the Lehigh Valley as her home. She resides in South Whitehall Township with her husband Jeff, and soon to be Parkland High School graduate, twins, Jillian and Sam. Tori currently and has worked for the last 25 years in the Environmental Field as an Operator, Lab Manager, Chemist and Compliance Manager for a Water and Wastewater Operations and Management Company, SUEZ Environmental. With a love for her home and community, Tori served on the South Whitehall Planning Commission for 4yrs and later in 2008 pursued an elected position as a South Whitehall Township Commissioner where she continues to serve, and has been Board President for the last 6 years. 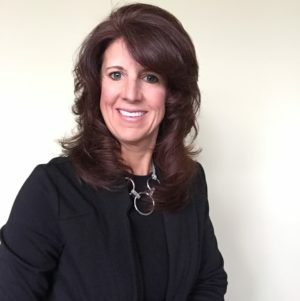 Tori also serves, and has since 2011 as Board member on the Lehigh Valley Planning Commission as well as Board member of the Western Lehigh Chamber of Commerce, and active member of the Parkland School District Business Advisory Council. Tori is most proud of the opportunity to be a Mom and with her husband watch her children grow and prosper in their community. “Be a part of something that makes a difference” is a motto that she lives by.